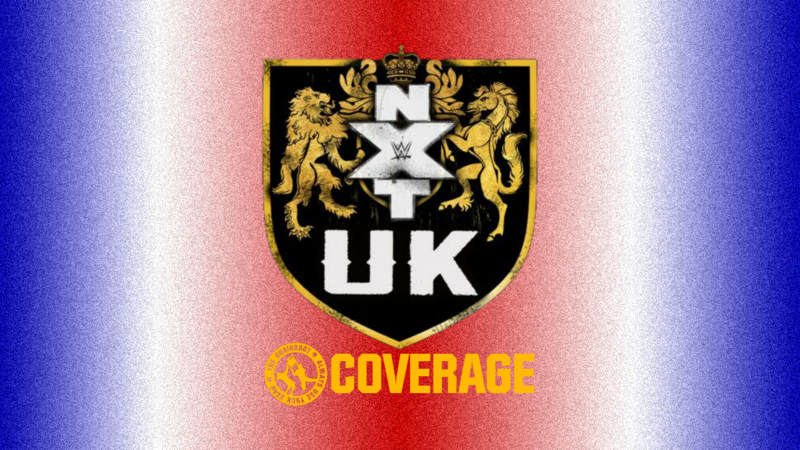 NXT UK rolls on with just one hour a week now, but still with plenty of action! Will the Bruiserweight have something to say about WALTER showing up? Nina Samuels VS Lana Austin; Samuels wins. Eddie Dennis VS Jaime Ahmed; Dennis wins. Jordan Devlin VS Travis Banks; Double Count-Out. NXT UK took over Blackpool! But the Irish Ace wasn’t going to let the Kiwi Buzzsaw have his time to shine. An attack in the lobby and a brawl before their match allowed Jordan Devlin to sideline Travis Banks for the night. Banks has worked too hard for too long, so he and Devlin will finally settle this tonight on NXT UK TV! Will Devlin learn that a buzzsaw does trump the Ace? Or will the odds be against Banks given his bad leg? Pete Dunne heads to the ring! The Bruiserweight is still the WWE United Kingdom Champion, and Blackpool is happy to see him again after that great match with the Iron King, Joe Coffey. Dunne is at 610 days and climbing as champion and the fans chant for Dunne as he picks up the mic. “At NXT UK TakeOver: Blackpool, we made history!” Fans agree with that. Dunne continues to say that “It all started here two years ago”, and since then, everything’s changed. But since May 2017, TakeOver: Chicago, one thing has remained the same: his title reign! However, Gallus appears to respond! Mark Coffey keeps Wolfgang back as Joe Coffey steps up. 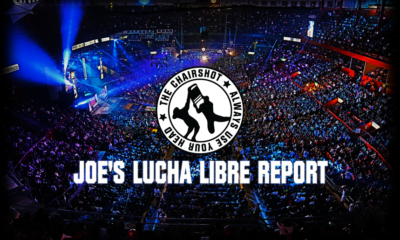 Fans boo as Joe says TakeOver didn’t change a thing! Fans remind Joe “You Tapped Out!” But Joe says this is still HIS Kingdom! Losing that battle will mean Joe wins the war and that UK Championship to make it Gallus. Joe wants Dunne to look at the title, make sure he remembers what it looks like. Then look at Joe. Enjoy the title while you have it, because we all know who will have it after this war. And if anyone has a problem with that, then get behind Joe in line. The lights go down, and WALTER returns! The Ring General made a shocking debut at TakeOver, but he’s back in Blackpool to join Dunne and Joe in the ring. Fans sing and cheer for Walter while Gallus keeps Joe back. Joe calms down, but it’s Wolfgang and Mark Coffey who rush the ring! Dunne stops Wolfgang with a snap of his fingers, while Walter punches Mark right out! Now Dunne and Walter are alone, and both looking at the WWE UK Championship belt. Fans like this match-up, but what of NXT UK management, Johnny Saint and Sid Scala? Sid Scala makes an announcement. 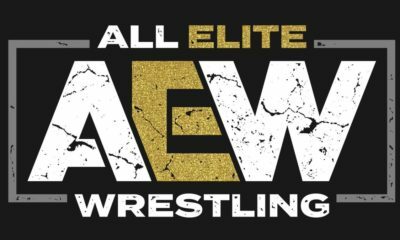 The Assistant GM announces NXT UK’s participation in Worlds Collide, as well as Phoenix tapings. It is very important that NXT UK wins the tournament, and it will be up tot he roster to show everyone why they are the number one brand. Sid then spots the Grizzled Young Veterans, and congratulates them on being the inaugural tag team champions. Oh now everyone wants to talk to them? When in the weeks leading up to the match, it was all Mustache Mountain. And now it’s a media ambush. Gibson and Drake will give their champions’ address next time, but for now, jog on. Sid accepts this, but what will Liverpool’s Number One and Mr. Mayhem have to say about being the first-ever NXT UK Tag Team Champions? Nina Samuels VS Lana Austin! The Rose Pink Devil and the newcomer from Manchester both know there’s a new NXT UK Women’s Champion in Toni Storm. There is a huge opportunity to make it towards a title match, will Nina be upset by the mother of three with a dream? Or will she be a nightmare in pink instead? The bell rings and fans are on Austin’s side. Nina sneers as she ties up and gets Austin’s wrist. Austin uses ropes to flip through and reverse the wrench. Fans applaud but Nina cartwheels and breaks free to a hip toss. Nina doesn’t take Austin as a threat, but fans rally up. Nina whips but Austin counters with a toss and uppercut! Austin snampares to a basement dropkick! Cover, TWO! Nina gets to a corner but Austin gives her an uppercut! Austin wants a monkey flip but Nina boots her away. Nina is on Austin at the ropes, and dropkicks her against them! Cover, TWO! Nina gets annoyed with the fans who cheer for Austin. She puts Austin in an armlock and chinbar as fans rally up. Nina pops Austin to a cover, TWO! Nina keeps on that same hold, but fans again rally for Austin. Austin feeds off the energy but Nina snapmares her for a neck snap! Cover, TWO! Nina grows annoyed with Austin and wants that arm again. Austin endures and stands up, and hits back with a Russian leg sweep! Austin gets space but clutches her arm. Both women run but it’s Austin who rallies with lariats! Austin keeps going, big European Uppercut in the corner! She whips, Nina reverses but Austin reverses back for a knee. Roaring elbow! Cover, TWO! Austin doesn’t give up but Nina does shove her bad arm into buckles. Nina fireman’s carry, ushigoroshi! Or as she calls it, the Prima Donna! Cover, Nina wins! The Rose Pink Devil is a bad bad woman, but is she going to be a threat to Toni Storm’s young reign as champion? Exclusive post-TakeOver interview with Mustache Mountain. Trent Seven & Tyler Bate fought hard but it wasn’t enough to win those NXT UK Tag Team Championships. They didn’t have everything, and they missed out on history. That was their goal, but they missed the mark. But what makes them different is that when they lose, they just get up and keep fighting. The goal now is to take those titles from Gibson & Drake. They’re down but not out. When and where will the #BigStrongBoys get redemption against the Grizzled Young Veterans? Exclusive post-TakeOver interview of Toni Storm. She’s the NEW NXT UK Women’s Champion, and she isn’t sure how to describe the feeling. Toni’s the champ, and is the Mae Young Classic winner. She could’ve challenged anyone but she wanted this title because she loves this brand. Toni will do everything in her power to step up the level of the Division. Ever since winning the MYC, there’s been a change for the better in Toni. She fought some of the best women in the world, had her back injury, and now she’s dangerous but better. And now she’s champion. Who will step to her throne in this new phase of NXT UK? Eddie Dennis VS Jaime Ahmed! The Headmaster lost a brutal No Disqualification match against The Bomber, Dave Mastiff, but he won’t let that stop him. He goes against Mr. Screwface, an equally surly superstar. Which man’s bitterness will prove the better tonight? The bell rings and Dennis immediately hits Ahmed with a forearm! Dennis chops and forearms Ahmed but Ahmed fires back with body shots! Ahmed whips and hip tosses Dennis, but Dennis shoves him away. Ahmed waistlocks, Dennis standing switches, but Ahmed elbows out. Dennis blocks Ahmed’s clothesline to give a clothesline! Fans applaud the viciousness as Dennis kicks Ahmed to a corner. Dennis throws more forearms then wrenches Ahmed to a whip corner to corner. Ahmed hits buckles hard, and Dennis grins as he looms over him. Dennis drags Ahmed up to a cravat as fans rally up. Ahmed endures the wrenching and throws Dennis but Dennis holds on. Dennis laughs as he wrenches, but fans continue to rally up. Ahmed fights and rolls but Dennis stays on the hold. Fans duel as Ahmed fights back with body shots. Dennis gives a stiff knee, then throws Ahmed right out of the ring! Dennis slips out the side of the ring and runs at Ahmed for another blasting forearm! Fans boo as Dennis declares himself the man of NXT UK. Dennis scoops Ahmed to slam him on the floor! Dennis drags Ahmed up and into the ring, then stalks him from the corner. Ahmed stands as fans rally, and Dennis brings Ahmed in for a powerbomb. Ahmed slips out and throws hands! Dennis gets his dukes up but gets rocked by a right and a roundhouse! Ahmed fires up and climbs up, but Dennis boots him! Dennis climbs up and gives Ahmed a BIG Superplex! Dennis grits his teeth as he toys with Ahmed. Fans boo but Dennis pretends not to hear them. Dennis drags Ahmed back up, dragon sleeper, to the Next Stop Driver! Cover, Dennis wins! Dennis bounces back from his losses to Mastiff, but he still has a ways to go before he’s a championship contender. Who will Dennis teach a lesson in aggression next? Johnny Saint makes an announcement! The NXT GM says that Mustache Mountain will get their own chance to bounce back, against the European Alliance, Marcel Barthel & Fabian Aichner! Will Trent Seven & Tyler Bate earn a second chance at the tag titles with a win? Or will the German Commander & Italian Tank plow through them to go after the titles themselves? Jordan Devlin VS Travis Banks! Finally, after talking trash and ambush attacks, the Irish Ace will have to put up or shut up against the Kiwi Buzzsaw! Who will prove they have more love for their country and more pride as a pro-wrestler tonight? Banks doesn’t wait for a bell, he goes right at Devlin! The ref has no choice but to ring the bell as both men throw forearms back and forth. Banks kicks Devlin then clotheslines him right out! Fans fire up with the Buzzsaw as he builds speed. Banks DIVES and hits Devlin to the ramp! Devlin gets up and goes around the ring but Banks DIVES on him again! Banks sees Devlin retreating tot he crowd and pursues. Devlin elbows Banks away but Banks just keeps on him. They fight in the front row with forearms and chops. Banks has Devlin reeling all around the way, then kicks him back to ringside! But Banks adjusts his flight pattern to LEAP from barrier onto Devlin! Banks hammers away on Devlin as fans fire up. Devlin staggers and flounders but Banks takes aim again. Banks runs in but Devlin sends him at the steps. Banks stops himself, but Devlin chop blocks! Devlin refreshes the ring count so he can go after Banks on the outside. Devlin recreates Blackpool by putting the foot on the steps. But Banks gets his foot free to kick Devlin first! Banks then aims from the apron, to dumdum stomp Devlin on the back! Fans are thunderous for Banks as he stalks Devlin more. Banks puts Devlin in the ring, and Devlin asks for mercy. Fans boo, they know this is a trick. Banks doesn’t fall for it, either, as he gives kicks to Devlin’s chest! Banks kicks and kicks and kicks! Then mule kick! Fans love the ferocity while Banks aims at Devlin. Banks jumps up but Devlin sweeps the legs! Devlin hits Banks with a draping backstabber! Fans duel as Devlin glares down and stomps Banks. Devlin drags Banks up for a forearm, but Banks sits back up. Devlin drives elbows into Banks’ head and Banks gets to a corner. Fans duel and sing as Devlin chokes Banks on the ropes. Devlin backs off at 4, and fans rally up as Devlin drags Banks up in an arm wrench. Atomic backbreaker off the shoulder, cover, TWO! Devlin drives more elbows in, then embraces the cheers and jeers. Devlin grabs Banks but Banks throws body shots! Banks throws forearms, but runs into the urenage! Standing moonsault, cover, TWO! Devlin keeps calm as he circles Banks. He grabs Banks’ arm for a seated keylock, and he digs an elbow into the ribs. Fans rally up as Banks endures. Banks feeds off the energy and throws more body shots. Devlin throws a knee in then whips Banks hard into buckles! Devlin toys with Banks and snapmares him into an arm surfboard. He digs a knee in but fans rally up again. Banks fights his way up and hits back with more forearms. Banks whips but Devlin reverses, sending Banks tot he apron. Devlin walks into Banks’ haymakers, and Banks drags Devlin out to the apron. They brawl, Banks suplexes, but Devlin slips out to shove Banks into the post! Devlin gets an idea, and hits a Spanish Fly OFF the apron! Both men crash and burn to the floor, and fans lose their minds! Blackpool chants “Mamma Mia!” as both men slowly stir. The referee counts and it climbs to 5 before either man sits up. Banks and Devlin stand at 7, catch their breath at 8, and Devlin throws Banks away at 9! But Banks gets in at 9.5! Devlin is furious, but he goes after Banks with a fireman’s carry. Banks pops through to a victory roll, TWO! Banks sweeps the legs, runs, but into another Spanish Fly! But he’s right up for a lariat!! Banks fires up while Devlin flounders, and Blackpool gives them a standing ovation! A standing count begins but both men stir. They sit up at 4, and Banks gets Devlin’s hand first! Devlin throws forearms but he can’t break free. Banks rocks Devlin with forearms of his own, then a knee trigger! Devlin headbutts back, and both men fall! Fans again reach a fever pitch, but Devlin reels Banks in for the ripcord saido! Cover, TWO!! Banks lives and Devlin is beside himself. Fans rally up again as Devlin drags Banks to a drop zone. Devlin climbs, moonsaults, but gets knees! Banks fires up and blasts Devlin with a dropkick! Then fisherman, Kiwi Krusher! Cover, TWO!! Devlin survives and fans are loving this! Banks keeps focus as he drags Devlin up again. Banks stands Devlin up and springboards, but Devlin falls before the Slice of Heaven can connect! Devlin drags himself to ropes while Banks forces himself to stand. Devlin gets the fireman’s carry but is wobbly, both men fall out of the ring! The referee begins a count but both men barely stir before 5. They crawl towards the ring at 6, stand at 7, fall at 9, and are out! Fans boo, they didn’t want this kind of finish. Devlin and Banks glare at each other from opposite ends, because they’re not letting this end, either! The brawl is on! They fire forearms and knees, and the referee rings the bell more. Fans want to “Let Them Fight!” and fight they do! Banks throws Devlin into the crowd and then rains down rights! More referees appear, as does Sid Scala. They manage to pull Banks and Devlin apart, but only for a moment! Fans are thunderous and this fight is furious, but that’s all the time we have! Will this rivalry be settled? Or has the war only just begun? A great episode to officially move things past TakeOver: Blackpool! The opening segment did great to hype up Walter VS Dunne even more, that match is the natural course of action and Walter hasn’t even said anything on air. Walter’s in-ring debut is next week, and that is going to be incredible, except for the man he’ll likely chop into ground beef. Gallus obviously still want their part in this story, perhaps there will be a Walter VS Joe Coffey match on the way to Walter VS Dunne. And perhaps if Joe is going to drop out of the top title picture, the Coffey Brothers can be the tag team for Gallus to go after the tag titles. Mustache Mountain VS Barthel & Aichner is going to be great but it won’t be a flat-out contenders match. And I’m very curious to the Champions’ Address from Gibson & Drake next week. Nina Samuels and Lana Austin did good in their match, and NXT UK is slowly but surely establishing their Women’s Division midcard. Assuming the Fresh Start’s no rematch clauses applies to even here, Rhea Ripley will have to fight her way back up, but I’m thinking it’s either her or Jinny that reaches Toni Storm first. Eddie Dennis VS Jaime Ahmed was good for a squash between two big tall men. Dennis should return to his story of being upset with former friends Dunne and Mark Andrews, starting of course with Mark Andrews. That story would help propel both men in the singles ranks, and if need be, throw in Flash Morgan Webster as Andrews’ new friend. Dennis probably wins that story, though, so that he stays a credible threat. Devlin VS Banks was great, and that double count-out is actually perfect. I want to see them have Falls Count Anywhere or Last Man Standing as their real blow-off. This kind of feud continues to support the idea that NXT UK should consider a midcard title, because these guys each deserve something like that for the performances they’re giving. If anything, go all the way and let the winner of this feud name that midcard title. Devlin can make it his NXT Irish Championship, while Banks might go for something more general, like International Championship. Either way, one of these two being an inaugural midcard champion would be so cool for everyone. Drew Gulak wants to teach Humberto Carrillo a lesson! The Cruiserweight Crusader says class is in session! Will Drew Gulak force Humberto Carrillo to submit to the submission style of wrestling? Drew Gulak VS Humberto Carrillo; Carrillo wins. WWE Cruiserweight Championship #1 Contender’s Match: Oney Lorcan VS Ariya Daivari; Daivari wins and will challenge Tony Nese for the title. The Cruiserweight Crusader addresses the WWE Universe. 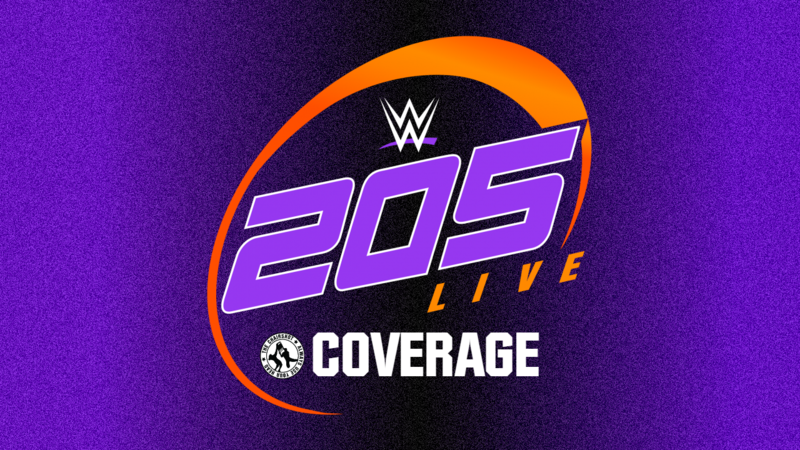 David Otunga joins 205 Live commentary! While Nigel McGuinness trains superstars in the UK Performance Center, WWE’s top lawyer joins Vic Joseph and Aiden English in calling the fastest action in sports entertainment! Drew Gulak VS Humberto Carrillo! The Philly Fury steps down from the podium after his State of Division Address to now address what he feels is a travesty in the state of Ultimo Ninja’s young career. Will Gulak get Carrillo to stay safe and sound with feet on the ground? Or will Carrillo show Gulak there’s more than one way to live on 205 Live? As Gulak finishes his entrance, WWE shares Gentleman Jack Gallagher’s Instagram message. “Salutations, 205 Live, ladies and fellow gentleman.” Gallagher is on the sidelines given he needs to get some stitches in his moustache. Now fans are surely wondering why he gave Gulak a headbutt. As a gentleman, he must explain. It’s all rather simple. What has Gulak done for Gallagher? Gallagher suspected Gulak was just furthering his own goals at the expense of Gallagher’s. Gallagher was proven right when Gulak got Gallagher disqualified against Carrillo, so he made sure Gulak understood something. Gulak may not have valued Gallagher as a friend, but he will learn to respect him as an enemy. Gallagher will surely come back to settle his grudge with Gulak, but will Carrillo get his pound of flesh first? Carrillo makes his entrance and we begin this fight of philosophies. Gulak circles with Carrillo and ties up. Gulak gets a headlock takedown and cover, TWO! Carrillo scrambles away to a corner but Gulak dares him to come back. Carrillo does and ties up with Gulak again. Gulak rolls Carrillo, TWO! Gulak is feeling himself as he taunts Carrillo. But he also tells fans to show respect when they boo and jeer. Carrillo and Gulak tie up again and Gulak gets a waistlock takedown. Carrillo slips out to a crucifix pin, TWO! But Carrillo suddenly gets La Majistrol, TWO! Gulak is frustrated, but he’s caught in an Oklahoma Roll! TWO and Gulak realizes Carrillo does know how to mat wrestle like him. Gulak gets up and circles with Carrillo then ties up. Gulak grabs Carrillo’s hair and pulls him to ropes. He gives Carrillo a cheap shot then an uppercut! Gulak brings Carrillo up but Carrillo trips him up. Things speed up and Carrillo’s agility allows him to headscissor and springboard arm-drag Gulak around! Carrillo also dropkicks Gulak out and then builds speed, but Gulak avoids the baseball slide. Gulak swings on Carrillo but he blocks to CHOP and use the apron to climb way up high! Carrillo waves hi but Gulak says he should come down. Carrillo dares him to join him up top but Gulak insists Carrillo come down. Gulak climbs up to get at Carrillo but Carrillo kicks him away. Carrillo hops down and speeds up to triangle enziguri Gulak down! Fans fire up as Carrillo handsprings to arm-drag Gulak off the mat! Cover, TWO! Carrillo clamps on with a chinlock but Gulak endures. Gulak fights up and snapmares Carrillo off, but Carrillo handsprings through to SUPERKICK! Gulak is dazed but he still trips Carrillo’s springboard up! Carrillo crashes to the mat and Gulak shakes out the cobwebs. Gulak gives springboard stomps with the bottom rope. Then he rains down rights before getting an armbar! Carrillo rolls to block but Gulak goes after fingers! Fans rally for Carrillo as he endures Gulak pulling at fingers. Carrillo gets the ropebreak but Gulak holds on until 4. Gulak stalks Carrillo to the corner but Carrillo fights back. Carrillo throws haymaker after haymaker, then runs, only for Gulak to tilt-o-whirl scoop. Carrillo lands out of it and ducks a clothesline, but Gulak wheelbarrows to a step-through! Gulak drops a leg on Carrillo’s leg, and puts on an Indian Deathlock! Carrillo endures as Gulak pushes on the legs. Carrillo keeps it from being a cover and he throws a BIG right! Gulak gets mad and gives a ground ‘n’ pound. Gulak makes it a cover, ONE, so Gulak stands with the deathlock on. Carrillo endures so Gulak clubs him down to a cover. TWO, but Gulak shifts to another cover, TWO! Gulak wraps on with a chinlock of his own, but Carrillo fights his way up. Gulak throws Carrillo down then drops an elbow, cover, TWO! But Gulak doesn’t let up as he puts a deep leg hook on Carrillo. Fans rally for Carrillo but Gulak rocks back into a surfboard! And chinlock! Carrillo reaches and flails, then pries free, only to fall on his face. Gulak covers, TWO! Gulak drags Carrillo up and wraps on another chinlock. Carrillo endures as Gulak grinds him into the mat. Carrillo reaches for ropes as fans build to another rally. He works his way up and fights out but Gulak suplexes. Carrillo lands on his feet and elbows Gulak away. Then he boots Gulak away, and runs to whip Gulak to a corner. Carrillo clotheslines and snapmares to quickly dropkick him down! Nebraska fires up with Carrillo as he somersault moonsaults! Cover, TWO! Gulak lives and scrambles to ropes, but Carrillo grits his teeth as he drags him up. Gulak reverses the whip but Carrillo handspring back elbows him down! Carrillo hurries to a corner and leaps for a crossbody! Cover, TWO! Carrillo grows frustrated but he has the fans on his side. Carrillo drags Gulak up but Gulak blocks the suplex. Gulak throws hands and scoops Carrillo into the dragon sleeper! But Carrillo slips out and shoves. He leaps but Gulak sunset flips, TWO! Gulak fireman’s carry to gutbuster drop! Ghost pin cover, TWO! Gulak grows frustrated now but he stalks Carrillo to ropes. Gulak drags Carrillo up but Carrillo blocks the whip. Carrillo lets Gulak’s pull help give him momentum for a forearm! Carrillo then whips Gulak to a corner and runs in. Gulak puts Carrillo on the apron and hits Carrillo back. Carrillo blocks the buckle bump to give a roundhouse! Carrillo climbs up, leaps, missile dropkick! Cover, TWO! Gulak survives and Carrillo grits his teeth. Gulak grins at Carrillo’s frustration as both men slowly sit up. Carrillo throws a forearm but Gulak gives it back. Carrillo hits again, so Gulak headbutts. The brawl continues back and forth as they stand up. Gulak CHOPS then kicks, but Carrillo blocks to kick back! Both men stagger, Carrillo springboards to enziguri, but gets caught into an Ankle Lock! Carrillo rolls through to a cradle, TWO!! The Ankle Lock is on again! Gulak drags Carrillo around but Carrillo endures. Carrillo reaches for ropes, but turns to kick Gulak away! Gulak is down and fans fire up for Carrillo as he crawls to a corner. Fans rally up as Gulak stands. Gulak swipes blind but he finds Carrillo. Carrillo fights back but Gulak elbows and headbutts him down. Gulak hoists Carrillo up top and CHOPS him! Gulak climbs up and bends his own rules, but Carrillo resists the superplex. Carrillo fights Gulak back then SLAPS him down! Gulak staggers back up but Carrillo sunset flip powerbombs! Carrillo puts Gulak in the drop zone, headstand, AZTEC PRESS! Cover, Carrillo wins!! It looks like the student has surpassed the teacher! Gulak thought he’d drag Carrillo down to his level but Carrillo soars higher than ever! Will this springboard Carrillo towards a future title opportunity? Will Gulak be able to rebound before Gallagher comes back for his own grudge match? “I have been training, competing and making sacrifices for over a decade, for one goal: Make it to the WWE and become a champion.” There’s one man between him and Tony Nese: Ariya Daivari. Daivari isn’t like other Cruiserweights. He doesn’t care about being flashy or technical. All he does is hit as hard as possible until there’s only one man left standing. Luckily, that’s the kind of fight Oney likes. “Ever since I got my priorities straight and focused on myself rather than those past flops I was propping up for the last year, I have been untouchable.” Daivari is undefeated in 2019! And he plans to keep it that way. It doesn’t matter if it’s Lorcan, if it’s Nese, or the entire 205 Live roster, nobody is keeping him from becoming the next Cruiserweight Champion. Will the Privileged Persian Lion give Lorcan more fight than he can handle? Or will Lorcan take it all in stride as he looks to accomplish his goal? Drake Maverick speaks with Mr. & Mrs. Kanellis, again. The 205 Live GM feels like he’s having the same conversation every single week. Maria has this inability to let Mike succeed on his own. Her interference in the Fatal 4 Way is inexcusable. THE Brian Kendrick walks over and hopes he’s not interrupting. Maverick doesn’t want any trouble, but Kendrick plays innocent. Why would he do something when Maria is the one constantly distracting Mike’s opponents? Like when she cost Kendrick’s good pal, Akira Tozawa, in that Fatal 4 Way. This isn’t a vendetta. Kendrick just wants to talk. Tozawa can fight his own fights. Maria says they can blame her all they want, but if Kendrick’s looking for the reason his “meal ticket” lost, the two of them should look in the mirror. But maybe they’re just too cowardly to do that. Kendrick just wanted to talk. Tozawa can fight for himself. Then why is Kendrick here? Right, he should get going. He was just a distraction, anyway. What? Akira Tozawa attacks Mike outta nowhere! The Stamina Monster find the right opportunity to attack the Opportunist, but Maverick reprimands him as security pulls him off Mike. But then Mike sucker punches Tozawa and Maria laughs at him. Maverick gets Mr. & Mrs. Kanellis to leave, but this fight is far from over. WWE Cruiserweight Championship #1 Contender’s Match: Oney Lorcan VS Ariya Daivari! The Premier Era of 205 Live truly begins, and it’s time to see who will step up to challenge Tony Nese now that Cedric Alexander and Buddy Murphy have moved on. Will it be the Boston Brawler of the Persian Lion that punches their ticket for a title match? But before the match begins, the Cruiserweight Champion appears to watch this up close and personal. The bell rings and Lorcan focuses on Daivari and vice-versa. Lorcan and Daivari tie up and push each other around. Lorcan puts Daivari in a corner but they continue along the ropes. The ref calls for a break and Lorcan honors it to let Daivari come out. Daivari circles with Lorcan and they tie up again. Lorcan wrenches to a hammerlock but Daivari slips through to hammerlock back. Daivari wants his hammerlock lariat already, but Lorcan gets clear! Lorcan and Daivari tie up again as fans cheer for “Oney! Oney!” Daivari gets the hammerlock again and again wants the lariat! But Lorcan gets clear and wants his Half ‘n’ Half! Daivari gets away and gets out of the ring. Lorcan stares Daivari down and dares him to get back in. Daivari takes his time as he eyes Nese. Daivari gets back in at the ref’s count of 6 and circles with Lorcan again. Lorcan headlocks but Daivari powers out to punch Lorcan in the back. Daivari wants a cobra clutch but Lorcan holds the ropes. The ref counts and Daivari lets go at 4. Lorcan comes back gets a headlock and takedown to a cover. ONE but Lorcan tries again, ONE. Daivari goes around but Lorcan holds on. They stand and Daivari tries to power out but Lorcan holds on. Daivari makes it a cover now, ONE! Lorcan squeezes tighter but Daivari keeps it from being a cover. They stand again and Daivari powers out. Lorcan runs Daivari over and covers, ONE, so Lorcan tackles him, ONE! Daivari kicks low and CHOPS Lorcan at the ropes! Lorcan staggers from the string but Daivari whips. Lorcan reverses and atomic drops Daivari. He gives Daivari another atomic drop, then a third! Daivari ends up flying out of the ring! Fans fire up for Lorcan as he builds speed, but Daivari clobbers him out of the air! Lorcan tumbles down and the referee checks on him. Lorcan’s okay to continue so Daivari takes his time getting him up and into the ring. Daivari stalks Lorcan to a corner and whips corner to corner. Lorcan hits buckles hard and falls over. Daivari stomps Lorcan out then fires up. Fans boo and jeer but Daivari goes back to Lorcan. Daivari drags Lorcan up to CHOP again. Lorcan seethes as Daivari gives more CHOPS. Daivari can’t believe this, so he keeps trying the CHOP! Lorcan glares and CHOPS back! CHOP after CHOP and then Lorcan scoops. Daivari slips out to a spin Lorcan for an inverted DDT! Cover, TWO! Lorcan lives but Daivari keeps his cool. Daivari glares at Nese but Nese shrugs it off. Daivari goes back to Lorcan to whip, but Lorcan elbows Daivari down! Lorcan clotheslines and whips back, but Daivari holds ropes. Lorcan runs over but Daivari dumps Lorcan out hard! Daivari fetches Lorcan to bounce him off the announce desk. Lorcan staggers around and Daivari grinds him into the timekeeper barrier. Daivari puts Lorcan in the ring at 8 and argues with the ref about that count. Daivari drags Lorcan up by his ears and bumps him off buckles. The Persian Lion CHOPS Lorcan and chokes him on the ropes in full view of Nese. Daivari stalks Lorcan and puts him in another corner. Daivari whips corner to corner but Lorcan reverses. Lorcan misses as Daivari goes up and over, and Daivari wants his Million Dollar Dream! Lorcan flails to resist, but Daivari drags him down! Daivari goes for the body scissors but Lorcan keeps moving around. Fans rally and Lorcan gets a second wind! Lorcan sits up and drags Daivari with him for the ropebreak, but Daivari rolls him off! So Lorcan uses buckles to push back to a cover, TWO! Daivari frees Lorcan but clobbers him back down. Daivari stands and drags Lorcan up, but Lorcan suplexes him first! Lorcan grits his teeth and fans rally up behind him. Daivari crawls over and they both stand up. Lorcan throws big European Uppercuts! Lorcan whips but Daivari reverses, only to get a kick! And a CHOP! And a dropkick that sends him way out! Lorcan slingshots and splashes down! Fans fire up with Lorcan as he drags Daivari into the ring. Lorcan becomes the Fury of 205 Live as he wants his Half ‘n’ Half, but Daivari elbows out. Daivari boots Lorcan then hops up to leap, into a EuroUpper! Lorcan runs to BLOCKBUSTER! Cover, TWO!! Daivari survives but Lorcan’s rage builds! Lorcan glares and drags Daivari up in the half nelson. Daivari arm-drags out and SUPERKICKS! Million Dollar Dream! Daivari has Lorcan down and Lorcan flails around but he’s stuck in the middle of the ring. Lorcan fades, but he comes back to life! Lorcan sits up again and fans rally behind him. Daivari can’t believe Lorcan is prying out of the hold! Lorcan grabs Daivari to slap, slap, SLAP! Running EuroUpper! Lorcan drags Daivari up again, and to the top rope! He climbs up behind Daivari, half nelson, but Daivari fights out for dear life. Lorcan falls hard, and Daivari turns around for the LION SPLASH! But he flops as Lorcan gets clear! Nese likes what he sees as Lorcan glares at Daivari. Lorcan runs in for a big clothesline, then a back elbow! He keeps moving, but gets another SUPERKICK! Daivari flounders his way up top, LION SPLASH! It hits, but he’s not done! Daivari hammerlocks for the LION LARIAT! Cover, Daivari wins!! Nese has to applaud that performance, because that was truly worthy of fighting for the title. Daivari walks up to Nese and Nese offers a respectful handshake. Nese wants to congratulate Daivari on a “hell of a match”, but all Daivari wants from Nese is the title. Nese holds up the title and dares Daivari to take it. Daivari backs down for now, but this match is coming. What will it take to stop the man who stopped the unstoppable? An incredible episode of 205 Live! Gulak did a great job in his promo to frame the new chapter in the Cruiserweight Division after the Shake-Up, and I was really surprised he lost to Carrillo. Gallagher’s own promo made it seem like the main thread of this story was going to be their blow-off match to settle things so I feared Carrillo was going to be fodder to give Gulak momentum. But instead, Carrillo gets the win he should’ve had all along, and can move on to whatever is next. Gulak VS Gallagher meanwhile will be great, and I hope they get a stipulation of some kind to make it even more exciting. Tozawa VS Kanellis is obviously going to happen again, I also hope that gets something special for the blow-off. Lorcan VS Daivari was a great contender’s match. As Lorcan put in his promo, their styles parallel each other so closely, it was great to see them hit hard and move fast. Nese being Face, naturally the Heel wins but this was honestly another long time coming moment in 205 Live. If Enzo had stuck around, I’d imagine Nese would’ve still found his way to the title off him, then the “Zo Train” would break up and we’d have gotten Nese VS Daivari sooner. But after the time that’s passed, it’s great to get this match with the forms of Nese and Daivari we have now. I don’t know if this match will be part of MITB PPV, but even if it’s the go-home or the episode after, it’ll be great. I’m sure Nese will retain, this is his first defense outside of the rematch with Murphy. What a great episode! 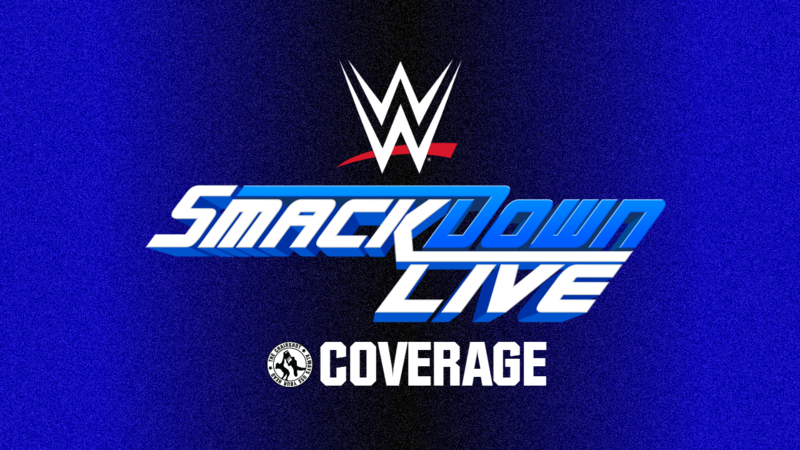 And that’s even with the Superstar Shake-Up supposedly continuing into a second week to make up for the changes brought on by Vince’s indecision and apparently Fox’s request to have a stronger Latino base for when SmackDown goes to them. That’s all fine but perhaps they should’ve given Vince a call before making the decision in the first place. Who knows, the brand split might end (again) in 2019. But at least we got a rematch of Finn VS Almas here for another great match, with Finn winning. I would hope we get a tiebreaker soon, maybe at MITB, title more than likely on the line. And naturally Shane has to have back-up against Roman, and naturally it’s Elias. Shane had great Heel hypocrisy in his promo and Elias gets the best of Roman now, but pretty sure Roman wins at MITB PPV. You’ve gotta feel for Chad Gable. He no longer has a dedicated tag team and then he’s just fodder for Lars. I started feeling bad for Mahal, too, because he almost ended up the same. Lars dominates Truth again, and this must be the feud they’re going with, but there isn’t much more to Lars as a character right now than smash, roar, smash again, leave. Of course, this is all Vince booking things, and he’s done the same to the War Viking Raider Experience. Hopefully Lars can get a promo in before they have an actual match. Speaking of, Aleister’s promo was vague, but that’s fine per his character from NXT. And we get the same Firefly Fun House from last night, so I wonder if he’ll be on both shows for a minute to see what stories we can get between both rosters. As entertaining as the IIconics are, I feel like Vince only gave them the belts so they’ll put over another team that wasn’t Bayley & Sasha. Vince took away the fun of Boss & Hug VS Sky Pirates in NXT just so Vince could do something here. It’s still involving Kairi, at least, and she did great tonight. But it also looks like they may have to go through Mandy & Sonya before earning their title shot. That should be fun, in that Paige can laugh at them while her new team moves on. And as many hoped, Becky’s pulling a double header at MITB. She made a great point about Charlotte needing to move aside, but sadly, Vince says otherwise. Bayley VS Charlotte was amazing, but Vince chooses Becky to take on two blondes in one night. Lacey’s doubtful but Charlotte might be able to win against a tired Becky. And everyone saw it coming but to think Kevin Owens would turn on The New Day here and now. Kofi VS Nakamura was an incredible match, Kevin and Xavier were incredible on commentary, and that was a wicked beating for Kofi and Xavier from Kevin. I was imagining that, with Big E out on injury, something would happen to Xavier and that leaves Kofi all alone. Kofi and Kevin will obviously fight for the title at MITB PPV, but I would hope Kofi wins to keep Kofimania going. Of course, as with this title, Rollins’ Universal Championship and either of Becky’s titles, Mr. & Ms. Money in the Bank could easily go after them in the same night as winning the briefcases. A cash-in might be the one way fans can even remotely accept one of the big three losing a title because cash-ins are all about sniping anyway.